Recently we visited the trendy bar and restaurant Horatio Todds, which is located on the Newtownards Road in Belfast. We were greeted by very friendly staff and enjoyed dining in the beautiful surroundings. This was our first time in Horatio Todds and we decided to take the trip to Belfast following a recommendation from friends. The menu featured lots of locally sourced produce and was really well priced, which is always a bonus. I (Helen) decided to go for the chicken liver pate from the light bites menu, while Nial went for the Belfast ham with champ. It was one of the daily specials. For dessert I had the coconut creme brûlée and Nial went for the apple and pear crumble. Here’s what we thought of our dishes. Chicken liver pate with ciabatta crostini and a red onion chutney. 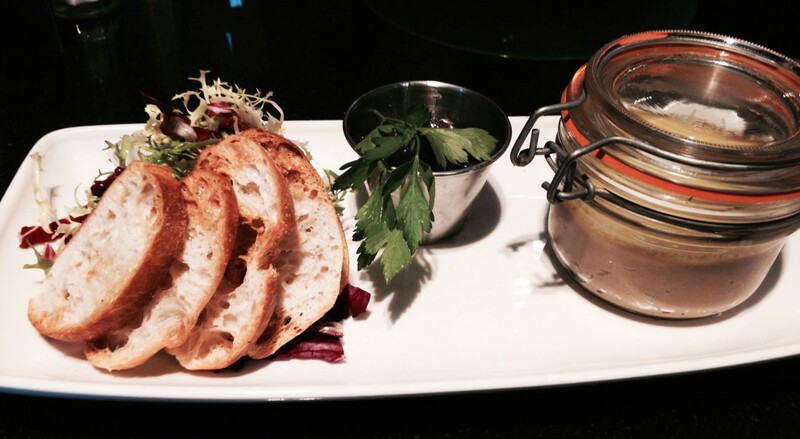 The dish arrived to the table, beautifully presented, with the pate in a kilner jar. The toasted ciabatta was a really nice accompaniment to the velvety pate. The red onion chutney and salad garnish added a fresh and tangy element to the dish. A lovely balanced dish and the perfect size as a light bite. It was definitely value for money. 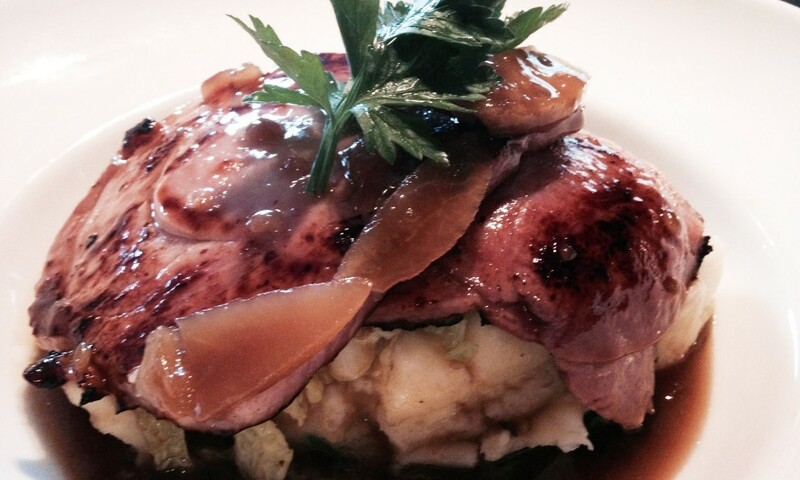 Pan fried Belfast ham with champ, buttered savoy cabbage and a rich caramelised apple jus. As Ronseal would say, it does exactly what it says on the tin. The ham was cooked to perfection, with a sticky glaze, while the champ was creamy and was the perfect addition to the dish. The cabbage was nicely cooked but still had a bit of a bite which added an extra texture to the dish. The jus was sweet, rich and plentiful. An honest hearty meal and excellent value for money. Coconut creme brûlée with mango and lime compote. There’s only one word that is needed to describe this – heavenly! 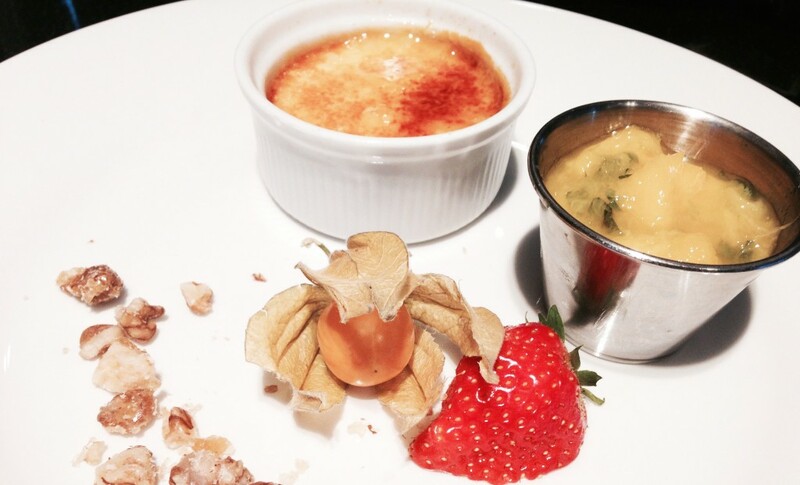 The creme brûlée was everything you want in a brûlée; sweet and luxuriously thick with a refreshing coconut twist. The lime and mango compote was laced with freshly chopped coriander; an unusual combination in a dessert, but it worked perfectly. Sweet, tangy and fruity. There was candied chopped nuts on the side for that added bit of crunch. Pear and apple crumble with cinnamon ice cream. A twist on the traditional apple crumble, this apple and pear dish was thoroughly enjoyable. Served hot, the spiced ice cream was a nice addition to the crumble although we did feel it could have done with a nice creme anglaise. Other than this it was a tasty dessert and a nice way to finish the meal. Although this was our first visit to Horatio Todds, we will certainly be returning and would recommend to others looking for a tasty and extremely well priced meal in Belfast. The stunning interior and great service was not let down by the food, which can sometimes be the case with other establishments. 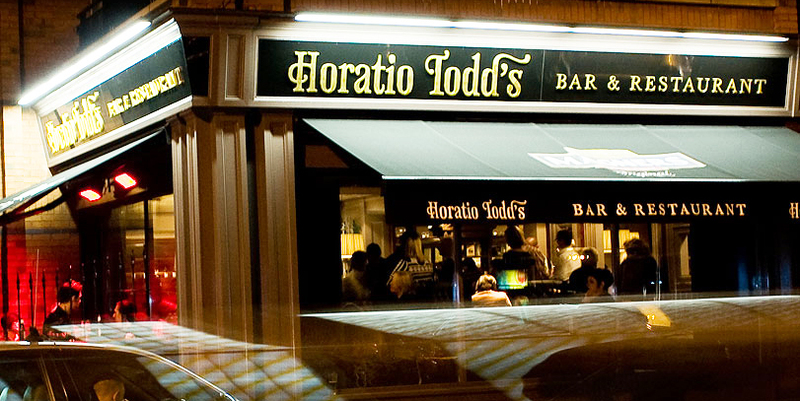 Have you ever been to Horatio Todds or is there anywhere else in Belfast you would recommend dining out in? We would love to hear from you. Share your experiences with us by commenting below or connecting with our Facebook and Twitter page.